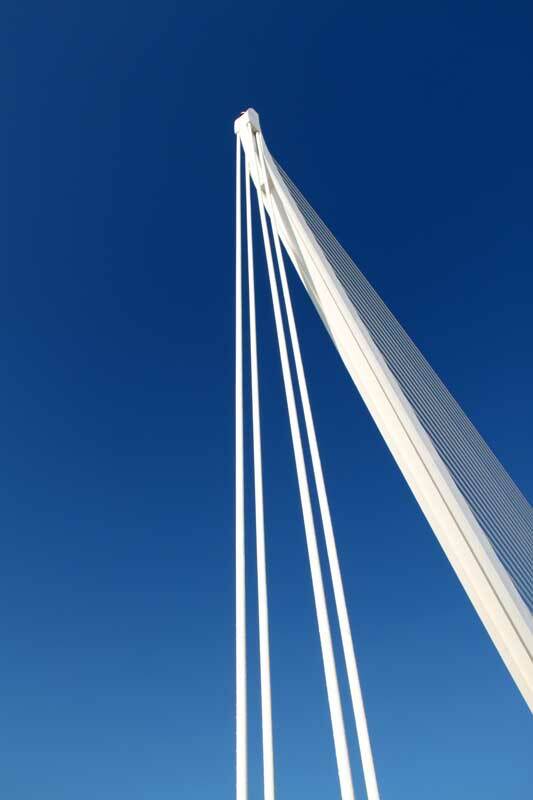 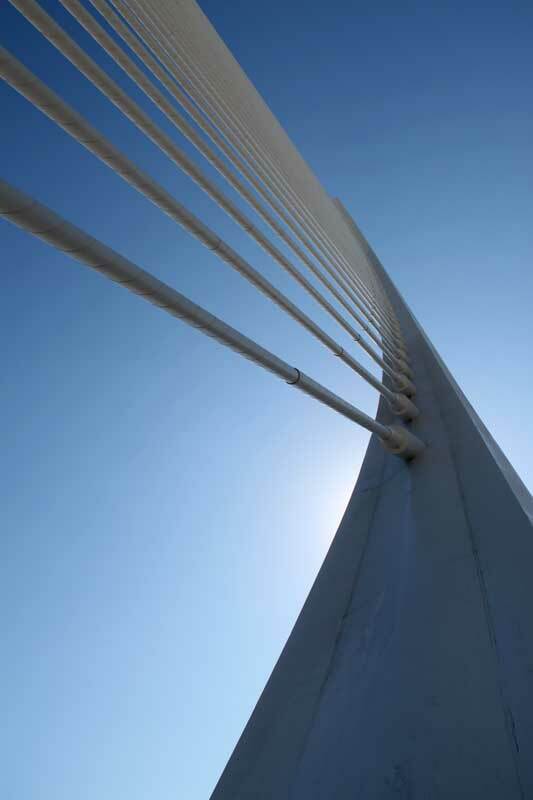 Images of the Suspension Bridge, City of Arts and Sciences by Santiago Calatrava and Felix Candela. 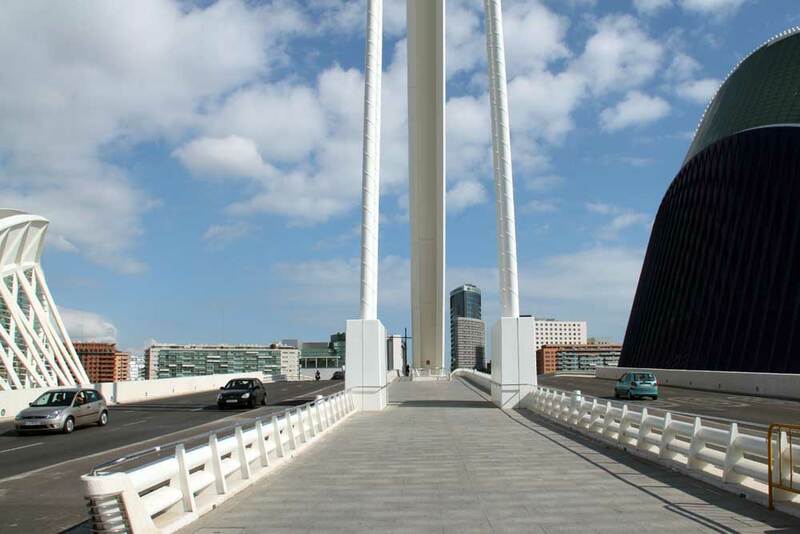 This suspension bridge connects the south side with Minorca Street, whose 125 meters high pillar is the highest point in the city. 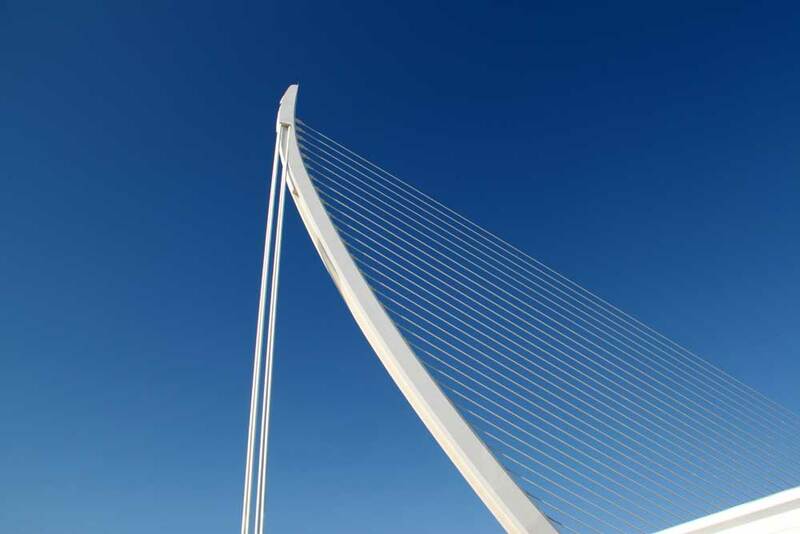 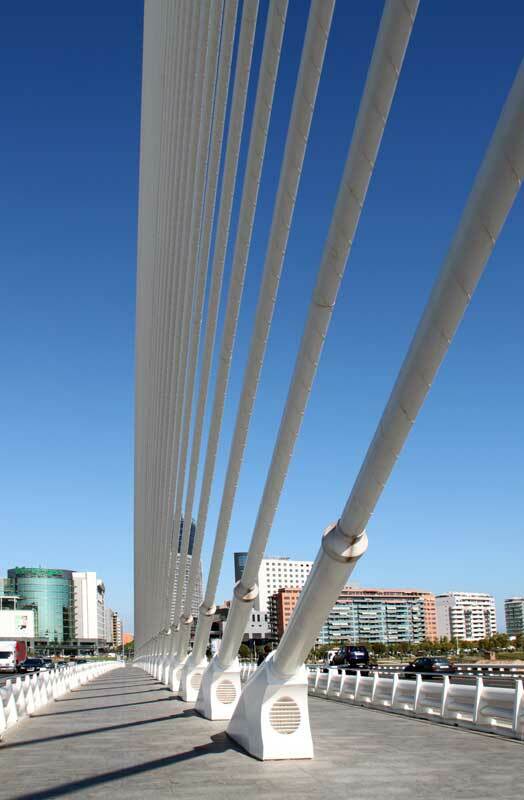 Calatrava's early works included many bridges. 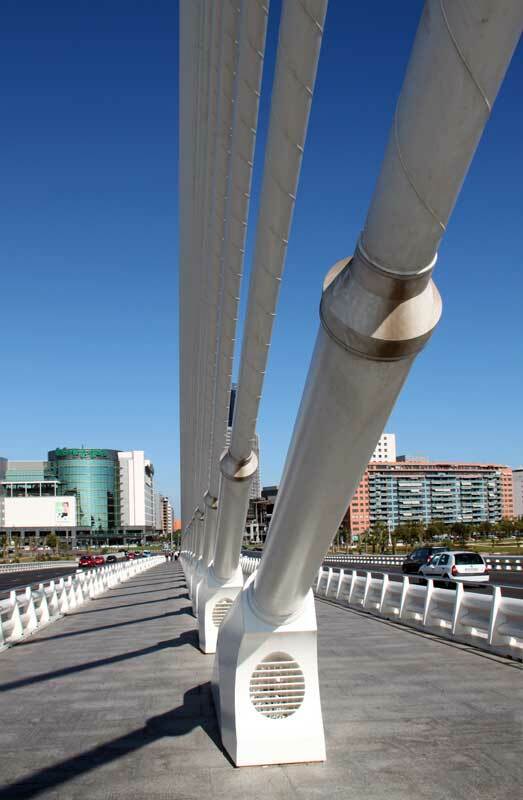 See Bac de Roda Bridge in Barcelona, El Alamillo Bridge in Seville, and Campo Volantin Footbridge in Bilbao. 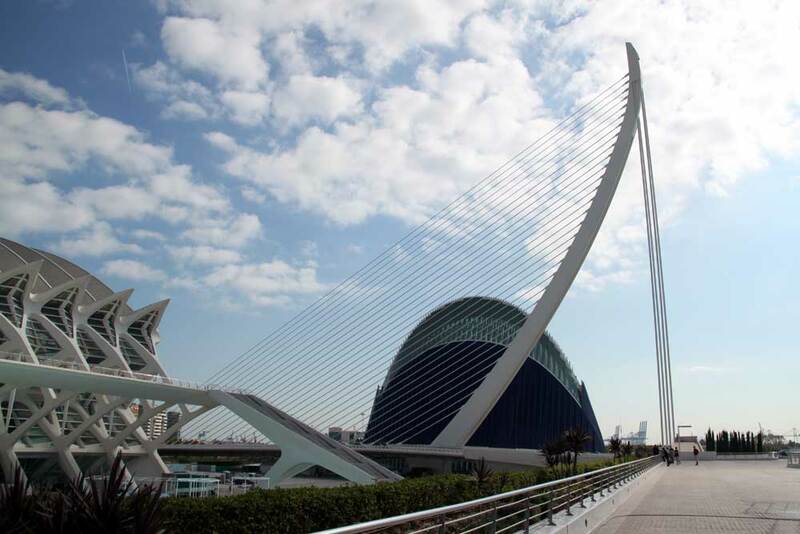 East of this bridge are the Agora and the Oceanogràfic.